Ultherapy - K. Charles Kim, M.D. 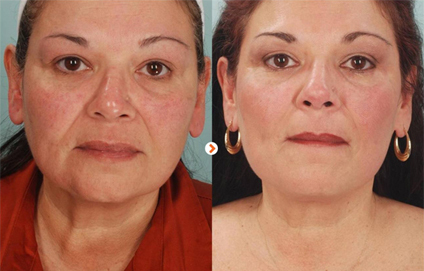 It is new concept non-surgical lifting treatment by using ultrasonic waves to improve skin tone. 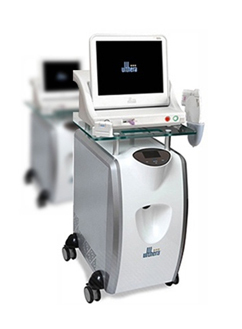 It is safe system what allows you to watch skin structure through built-in ultrasonic wave imaging device without cutting skin by using HIFU-Knife, or highly-intensive integrated ultrasound. It is new concept non-surgical facial lifting surgery lifting and improving wrinkles without any damage on surface of skin but impacting deep layer of skin.What is HIFU? HIFU is generally used to treat cancer. HIFU is a radiological graphic tool which selectively shows cancer cells inside the body. Ulthera is the first to equip HIFU for cosmetic treatment. 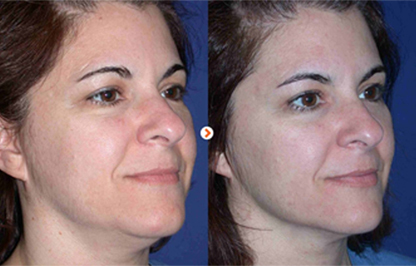 Using HIFU technology, Ulthera is able to transfer the heat energy into 3~4.5 mm under the surface of the skin. This heat energy raises thermal coagulation point which accelerates skin rejuvenation process and maximizes tightening effect of the skin layer. 1. With diagnosis and treatment by ultrasound wave, it allows conducting treatment while monitoring inner skin structure and enhancing treatment accuracy. 2. Possible to wash face or make up after treatment. 3. Possible to life skin from inner structure as it delivers energy to SMAS layer that is considered important for facial lifting.